Fultondale, AL (March 16, 2015)– New Breed Archery, innovators of industry-leading archery equipment, is pleased to announce the offering of Mossy Oak’s new Break-Up COUNTRY camouflage pattern on their newest bow, the BLADE. 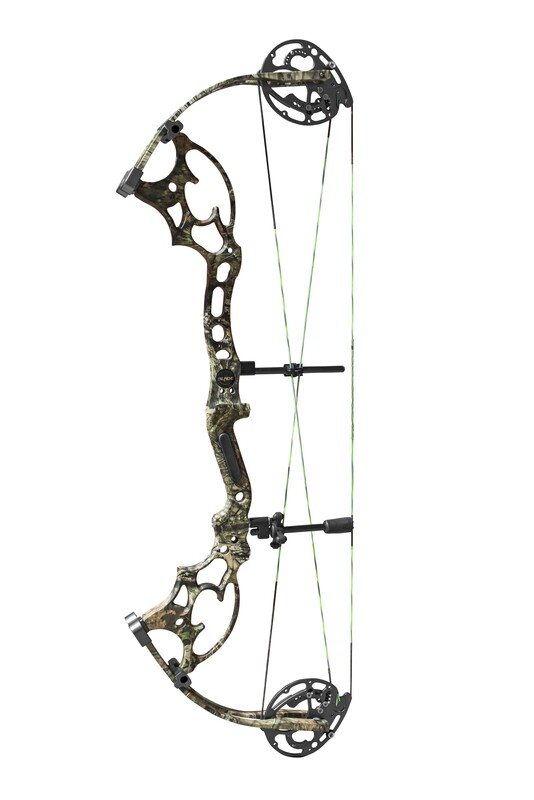 This offering makes New Breed one of the first bow manufacturers to offer this exciting new camouflage pattern on their equipment! Using dramatically larger limbs, leaves, bark, branches and other digitally enhanced natural elements, the new Mossy Oak Break-Up COUNTRY combats your outline and blends you in with the terrain like no pattern before. The new Blade distances itself from the competition with its cutting edge gusset brace riser, titanium bolt kit with stainless steel hardware, a fluted riser, two-piece extended pocket design and an adjustable cable guard. If you’re in the market for a bow that offers a smooth draw, speed and stealth, the search is over, the New Breed BLADE draped in Mossy Oak Break-Up COUNTRY has it all. For more information on New Breed Archery’s BLADE and the complete line of New Breed Archery Product offerings, contact New Breed Archery at (888) 363-3545 or visit www.newbreedarchery.com. For Hi-Res images and all media related requests, please contact Eddie Stevenson at eddie@driftwoodmediacom.com or visit www.driftwoodmediacom.com. Baltimore, MD (March 5, 2015) – Under Armour (NYSE:UA) will open the doors of its newest specialty retail location tomorrow at 600 North Michigan Avenue on Chicago’s Magnificent Mile, the city’s premier retail destination. With a focus on cutting-edge products and design, the Chicago Brand House will serve as a stunning example of the brand’s commitment to offering customers a superior shopping experience. Featuring men’s, women’s and youth apparel, footwear and equipment, the Chicago Brand House will be the region’s signature space to shop a full line of Under Armour® products that make athletes look, feel and perform their best. 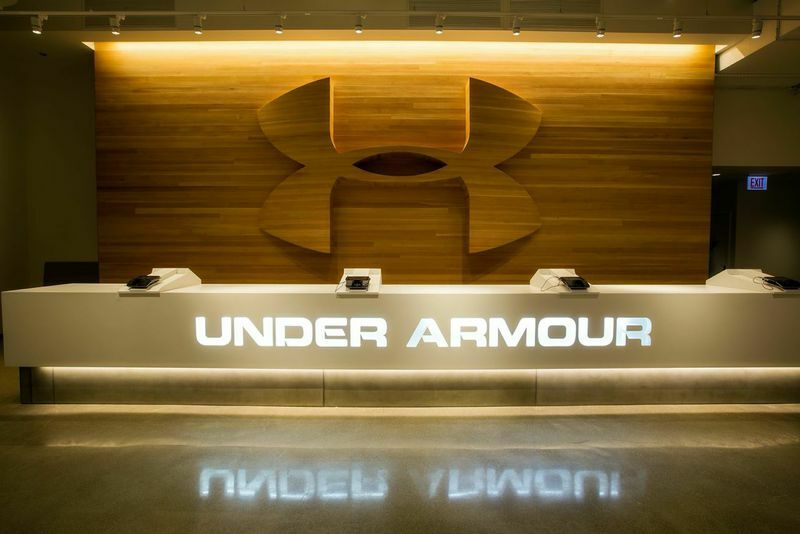 Under Armour’s newest store will feature two floors of the brand’s latest innovations across various product categories, including outdoor, team sports, training, running, golf, studio, youth, footwear and cleats. 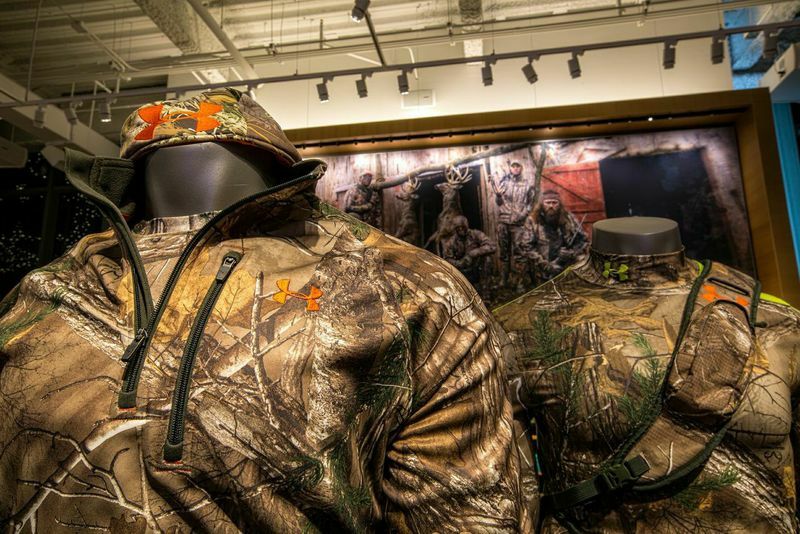 Chicago’s Brand House is also the first to offer specialized shops for UA Hunt and UA Fish, featuring the most technical apparel and footwear for this audience. The Chicago Brand House features nearly 30,000 square feet of interactive retail space and delivers a fully immersive brand experience, telling the brand story through digital displays that inform and inspire. The retail concept has been successfully executed in other premium locations, including New York City’s SoHo neighborhood, the brand’s hometown of Baltimore, MD and Tyson’s Corner in McLean, VA. Serving as a retail hub for the Under Armour Connected Fitness™ platform, the Chicago Brand House contains the brand’s first-ever wearables bar, offering a range of industry-leading fitness devices from brands such as Garmin, Pebble and Misfit, with others to be added in the near future. These activity trackers and sports watches will all integrate with UA Record™, the world’s most comprehensive health and fitness network dedicated to changing the way all athletes train, perform and live. For more information visit record.underarmour.com. Under Armour’s newest specialty retail location also reinforces the brand’s connection to Chicago and the surrounding areas. A large living wall inspired by the Wrigley Field ivy will be a focal point within the space, and the Brand House will also offer localized Chicago apparel that celebrates the legacy of the city in both sport and style. Under Armour has existing partnerships with iconic local athletic institutions, including the Chicago Cubs, University of Notre Dame and Northwestern University. o celebrate the store opening, Under Armour is hosting an Earn Your Armour™ Chicago Challenge, a virtual obstacle course which challenges participants to run down Michigan Avenue, kayak down the Chicago River and stair climb up the Willis Tower, ending with a photo-finish on the sky deck. The Earn Your Armour Chicago Challenge will take place at Pioneer Court (3/6, 11 a.m. – 6 p.m. CST) and Shamrock Shuffle (3/27, 10 a.m. – 8 p.m. and 3/28, 9 a.m. – 6 p.m. CST). The Chicago Brand House will be open Monday – Saturday 10:00 a.m. to 9:00 p.m., on Sundays 11:00 a.m. to 7:00 p.m. and can be reached at 312-690-5094. For more information on Under Armour and the Under Armour® Brand House, please visit UA.com and @UnderArmour on Twitter and Instagram using #UAChicago.